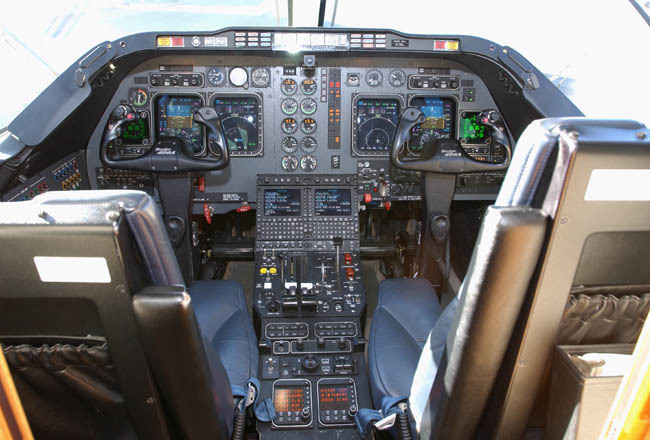 Donington Aviation is pleased to offer Beechjet 400A serial RK-214 to the marketplace. 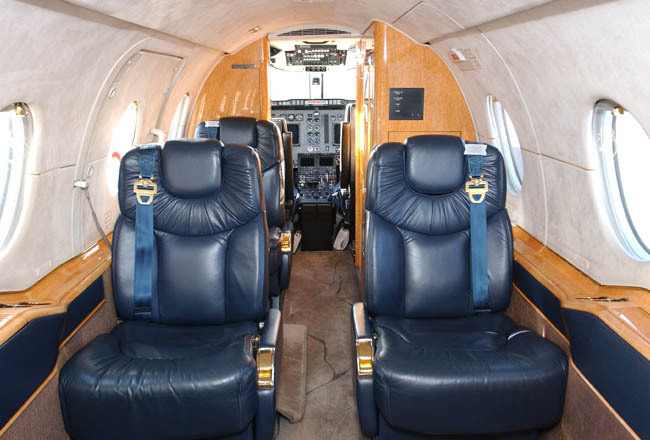 This aircraft is in excellent condition with one owner since new, it has been professionally piloted and meticulously maintained with no damage history. Operated full time by a private operation maintained regardless of cost. Fine interior featuring 8 passenger cabin with seats appointed in soft blue leather, centre club arrangement, private enclosed lavatory with 8th belted seat, birds-eye maple cabinetry, two executive fold out tables, forward galley, gold plated trims, new dark cream sculptured carpet installed in September 2006. 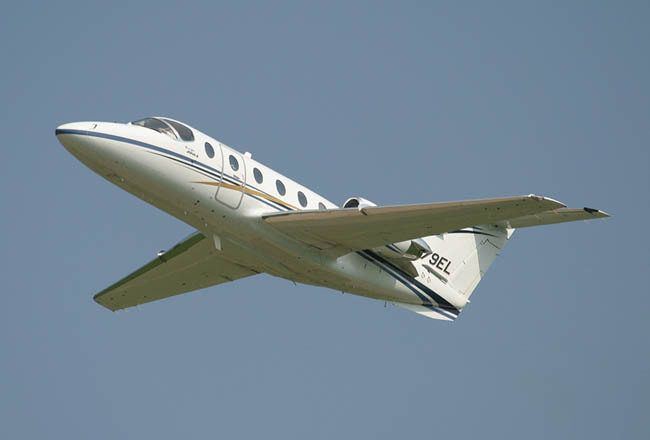 The Beechjet is superior to its major competitor in speed, cabin comfort, and fuel efficiency. 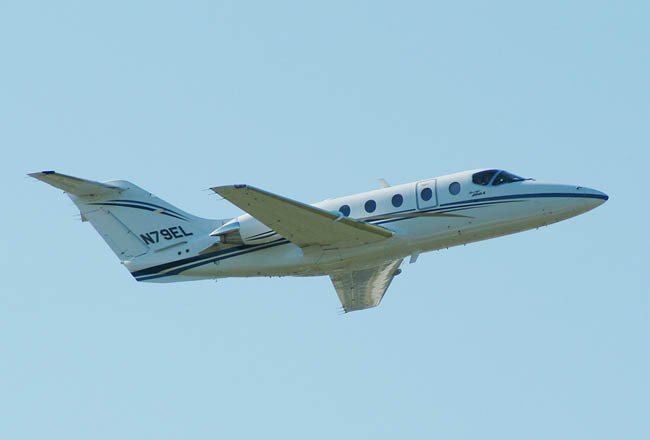 One look at the beautiful Beechjet 400A in flight foreshadows its exceptional performance characteristics. 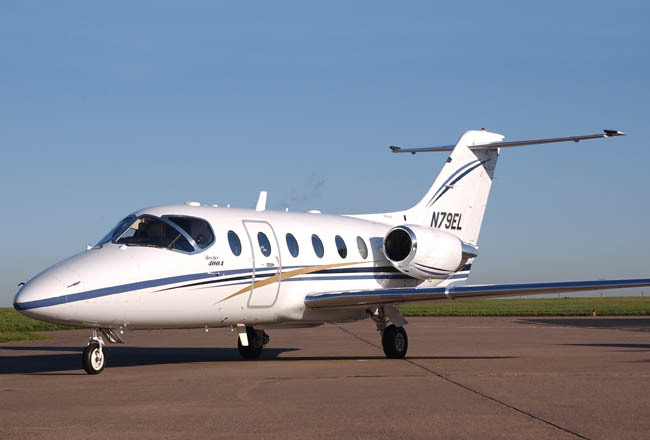 Its elegant swept wing appearance is not only aesthetically pleasing, but enables the Beechjet to efficiently attain outstanding climb rates and high cruise speeds. 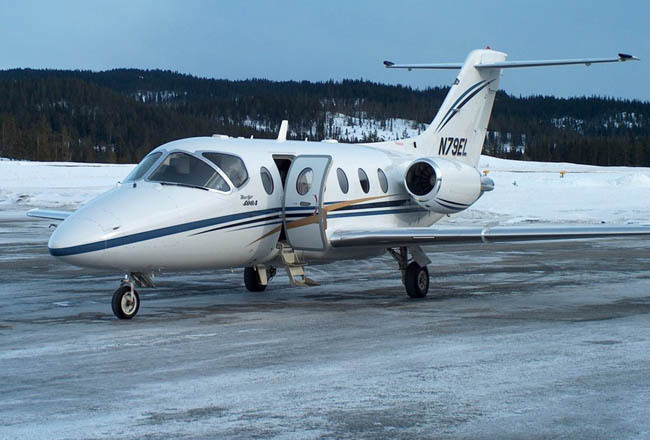 Its supercritical type swept-wing and powerful turbofan engines allow a fully loaded Beechjet to climb directly to 43,000 feet passing 37,000 feet after only 18 minutes and to cruise at 450knots with incredible fuel efficiency (5% faster than a Citation Encore). The field performance is good allowing access to shorter runways closer to your destination. 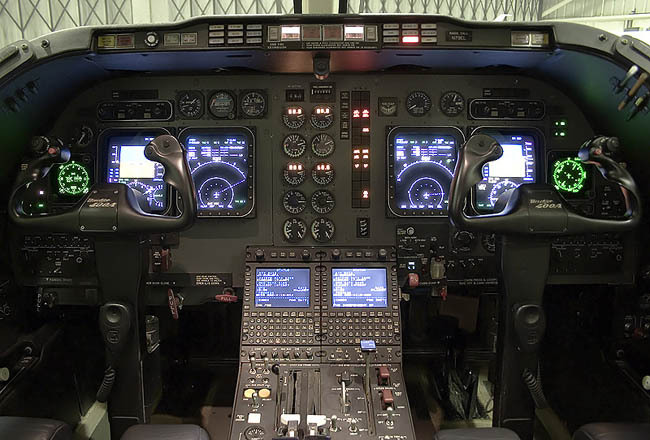 As a productive business tool, the Beechjet is unmatched in its class. 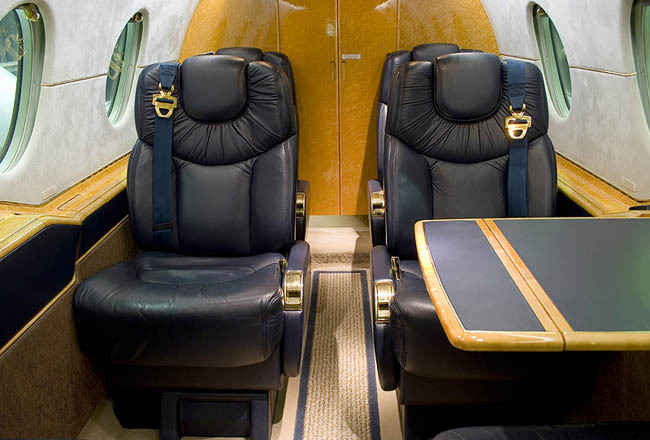 The Beechjet cabin has no equal in the light jet category. Its generous 'vertical squared oval' cross-section means unmatched head and shoulder room, even when chairs remain in outboard positions - plus a flat floor that comfortably accommodates entering, exiting and moving about the spacious cabin. Centre club seating with 360 degree swivel chairs makes conferencing en route more convenient. 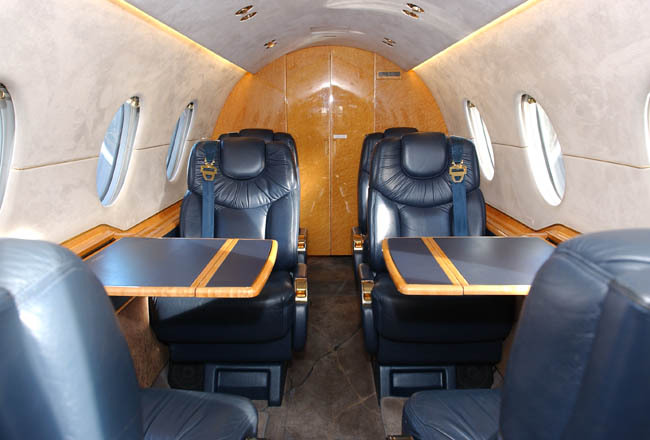 There's no such thing as 'cabin fever' in this flexible, spacious conference room in the sky.